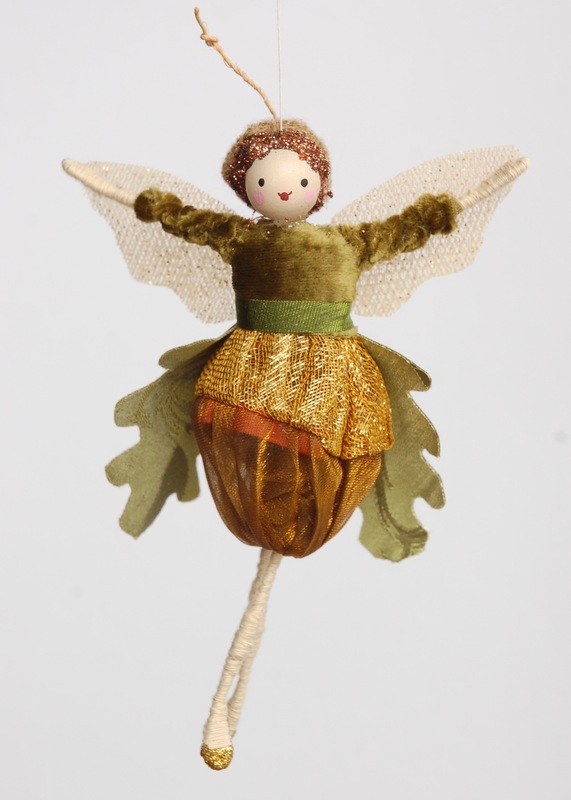 Designed and handmade by Halinka , for September is the Acorn fairy in the rich golds heralding Autumn. 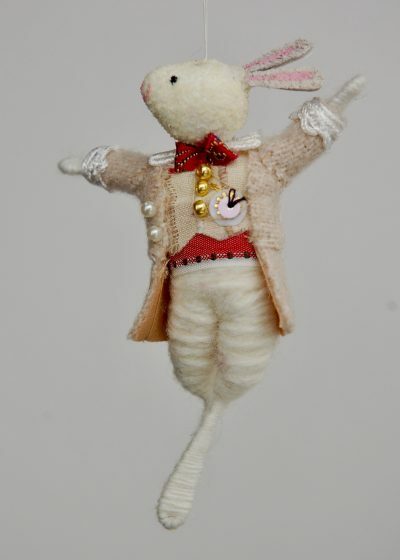 She has a golden acorn skirt with a tailcoat of oak leaves and a velvet bodice. 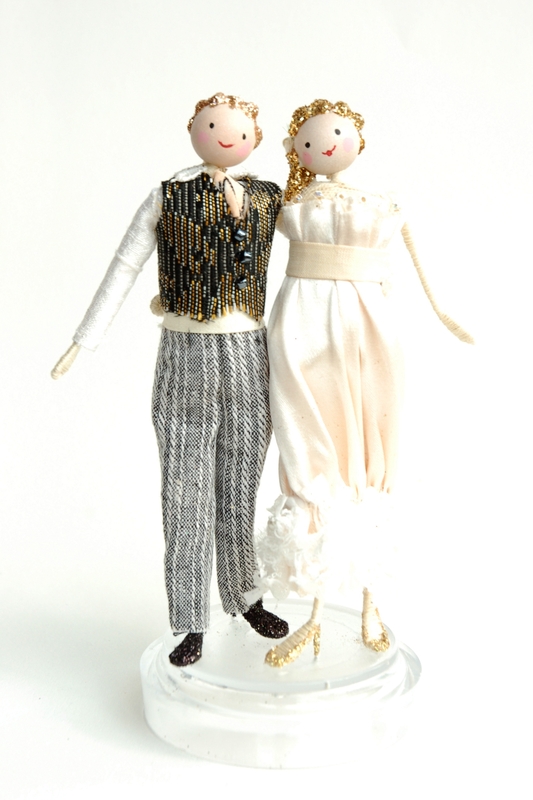 She has a little beret and golden shoes! 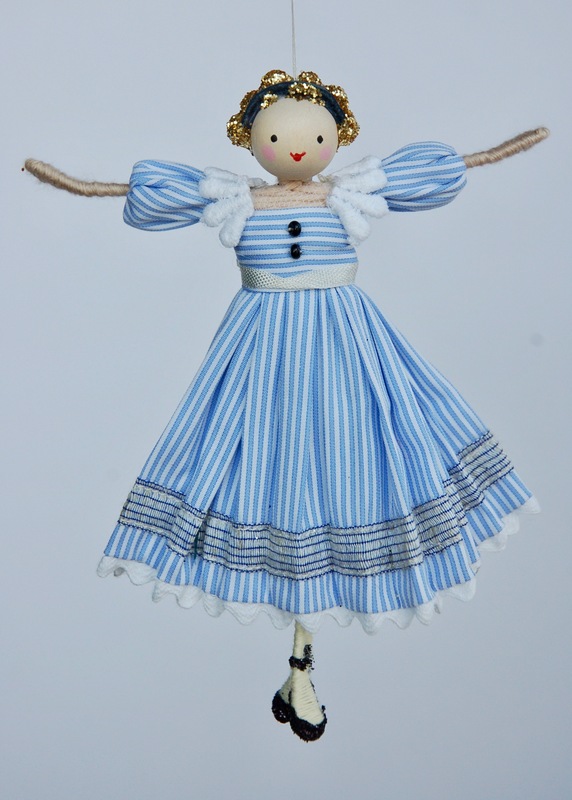 She measures 12 to 13cm tall and has a hanging loop. She arrives in her own gift box.